I was skeptical at first, but when I noticed all my co-workers walking around the office with amazing skin, I knew the Clarisonic Brushes were working. Seriously, their skin looks bright, clear and refreshed - baby soft! And I'm Jealous. 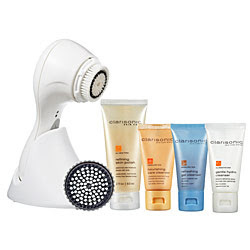 So I plan on buying the next model up - the Clarisonic Plus Skin Care System & Spot Therapy Kit. 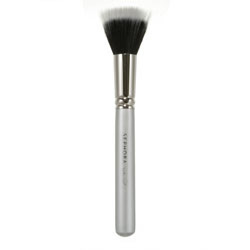 This brush comes with 2 more speeds than the original Clarisonic Brush and a special spot therapy brush head for the body. 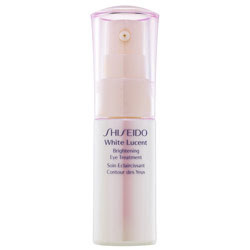 Now my face won't be the only one getting all the attention; my arms, décolleté and legs will get some love too! I just got back from a long, very long week in Las Vegas. I was in such a rush that I forgot to pack these 5 essential items. Boy oh boy, did I pay for it!! Let's hope you learn from my mistake and remember them! 1)Fat Girl Slim: It's hot, very hot, and we tend to show more skin in Vegas, so I need Fat Girl Slim most when I'm there. I can't believe I forgot it at home! 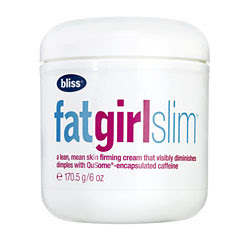 This is my go-to slimming creme, my secret weapon! I am still shaking my head at this one!!! 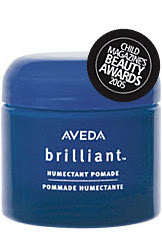 2)Aveda Brilliant Humctant Pomade: This is perfect for my hair in dry climates like Vegas. When I don't have it with me, my hair is a dull, frizzy, lifeless mess. Ugh. 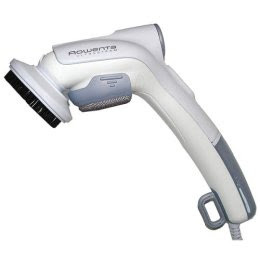 3)Rowenta Ultra Handheld Steambrush: This garment steamer is pretty easy to use when you are on vacation. It gets all those hard to reach places and is great with delicate fabrics too. Since I'm extremely careful with all my clothing, trusting them to another iron is very difficult - thank you Rowenta for solving this issue! 4)Nivea Skin Firming Moisturizer: This firms, tightens and moisturizes all in one. My skin drinks it up by the gallon in Vegas. However, I just moved from Vegas (mid-June) to Northern California and the water has made my skin so soft - I thought my skin was invincible! I guess that's why I forgot it. 5)WATER! WATER! WATER! : I stepped off the plane and got hit with a giant blow dryer. It was 109 degrees while I was there and it got hotter by the day. If there's one thing I've learned from living in Vegas, it's to have a bottle of water with you at all times. Aquafina is my favorite!! Images from Sephora, Aveda, Target, Nivea and Aquafina. A friend of mine, who is beginning her professional career, is looking to achieve a more sophisticated look with her makeup. She has done her shopping and has all the right products/tools, but she just needs to learn how to apply them. So I scoured the web for easy, step by step beauty tip and technique videos. These are the ones I liked best, but if you come across more please add them to comments! I love TLC's Carmindy. She has always managed to make everyone look so beautiful and natural looking. 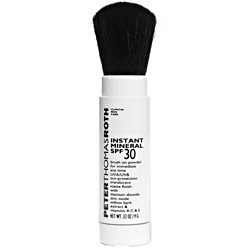 Here is a great how-to video from Sephora Backstage Click Here. 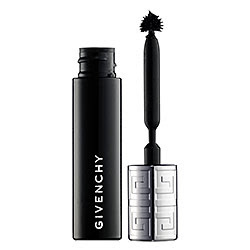 Plus she uses Benefit products in the video - love them! 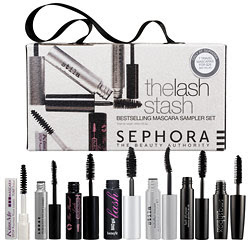 Smashbox's Get the Look Smashbox is great about making kits with exclusive beauty tip DVDs. So it's no surprise that I went to their website for help. They didn't have a video for their looks on the site, but the step by step instructions in this gallery makes it easy. 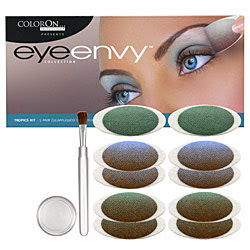 Plus they list all the products used to obtain the look. You may also be able to locate more how-to tips and videos through Alltop. Alltop searches the web for all the top stories. Why isn't Beauty Lab 101 on Alltop you ask? 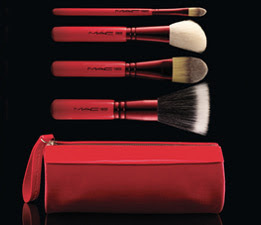 Well, for now I would like to keep Beauty Lab 101 dedicated to sharing information with family & friends. Shhhhhh it's our little secret! Oh yes and before I forget, Allure magazine is another great source - they even have pull-out cheat sheets! Tip: Remember, if you see something you like - replicate it! Set aside time to practice and experiment with the different looks. 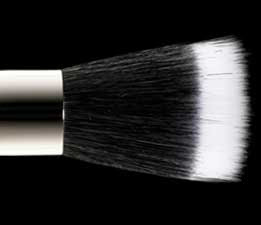 That's how I started doing makeup. I would see an advertisement or runway show with a look that I loved and try to copy it. If it didn't suit me, oh well, makeup remover is an amazing thing!